First read of the year! good way. Because it many not have been an absolutely brilliant book (more on a certain book that WAS later-most of you guys know what I'm talking about), but it was a good one. 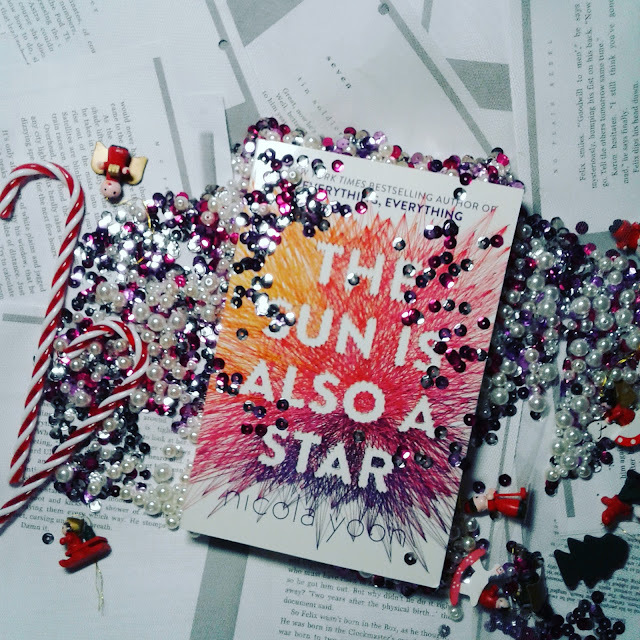 Unnecessarily (and, in my honest opinion, a bit pretentiously) complicated narrative and POV jumps aside, this was a vibrant, real story about real people, and that's what sets it apart from every other young adult romance out there. It did pose a lot of questions too, about how we pick our future, and how circumstances sometimes happen to us, and we don't have a lot of say in what is going on, and I loved that part. Of course I also loved the characters, Natasha and Daniel. They were so real, their flaws, their histories, their personalities... They just leaped off the page, which made everything that happened between them all the more poignant and unpredictable. And speaking of unpredictable, this was one book with so many twists and turns, it kept me at the edge of my seat. I hadn't expected that to happen with a book like that, but it turned out to be so much more than a regular boy-meets-girl story. Overall, I have to say that the storyline wasn't as straight as the one in Everything Everything, nor was the romance so intense and yummy, but that's not necessarily a bad thing. It's a completely different book, much deeper and realer, and that's why it's so powerful. Have you read it? What did you think? Am I the only one who wants a sequel RIGHT NOW?